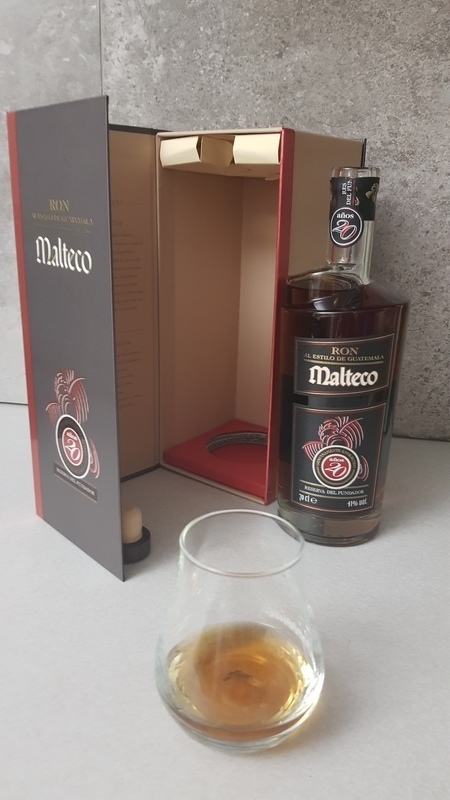 Have you found an online vendor selling Ron Malteco 20-Year? Really nice balance of sweet and spice - very smooth. Medium finish with a nice lasting taste. Very light molasses taste carries through with a nice slightly oily mouth. Could be 9, but not overly complex. sugar cane honey. sweet rum. the oldest from malteco in the default line. in the past it was produced in guatemala. in the present days it is produced in panama. this sweet vanilla rum is a chocolate bomb. raisins, caramel and chocolate all over you. 6/10 because its so full of chocolate. to bee a very good crowd pleaser it has to have a fuller body. more creamy. so the most think its to bad! After tasting 10 then 15 and then 20, I preferred the first two. The 20 does not deserve a special comment and is oh so slightly less sweet, less refined and more raw. This could be good, but in this case is less appealing. Still a very good rum - but not he best in class. When You try it, You must love it. In taste is again vanilla, tobaco, chocolate, but butter cake and marmelade also. Time for Birka’s rumcruise 2019 at the Baltic Sea were I tasted this one but I think it’s a little to weak for my taste. You can recognise vanilla, spices and a lot of chocolate. Veľmi dobrý rum, len nie až tak veľký skok chuťový ako skôr cenový od 15y. Nice amber color, soft vanilla smell. Relatively sweet with tones of chocolate, no afterburn. Better after couple of minutes in your glass. Price is little bit higher, but still good choice for sipping. Rum s lahodně nasládlou vůní i chutí ve které je patrný nádech dubu. vyrobca vraj doporucuje tento rum pit s kuskom kvalitnej horkej cokolady. dalej pise ze rum ma sladkastu cokoladovu chut a je jemny. takze to ideme skusit. ha. trosku to teda pozmenim. vona je extravagantna, kvetinova s dubovym nadychom. v chuti trosku tej cokolady je a zaver je skor silny a palivy ako jemny. zeby to jedno percento alkoholu robilo take turbo vo vsetkych parametroch? asi hej, doporucujem to fakt s nejakou cokoladou kombinovat, ja preferujem nugat. ked este mam stopy nugatu na jazyku sa napijem, potom vynikne cokoladova chut tohoto rumu ovela viac a nema taky surovy dozvuk. odporucam ludom co to uz daco popili. Nemám sice moc rád sladší rumy, ale tento můžu. Chuť kakaa a trochu medu a lehce dřevitě na jazyku. Palate: hmm, not so spectacular, a bit woody (but somehow moldy), and a bit dry maybe. Not very aromatic, but still pretty smooth. I prefer the 15-year old. Toto je rum skôr pre skúsenejších pičov...=) nie každý v ňom musí vidieť na prvý pohľad kvalitu. Podľa mňa vo všeobecnosti platí, že rumy z Guatemaly sú nadpriemerné. Nie je tomu inak ani v tomto prípade. Mám doma aj Malteco 10 ročné, ale tento je vyzretejší po všetkých stránkach. Má tmavšiu zlato jantárovú farbu, po 5 minútkach v pohári zaujme krásnou sladkastou vôňou po čokoláde, hrozienkach, či sušených slivkách. Chuť je plná, výrazná, stredne sladká, ale nie až tak sladká ako 10 ročný kolega. Neskôr zacítite na jazyku dubový súdok, ktorý nie je nijako rušivý. Záver je dlhší, hrejivý a veľmi príjemný. Perfektný rum na pomalé popíjanie. Odporúčam každému, kto má rád kvalitné rumy. Really way better than younger editions. Approved!!! Schönes dunkles Bernstein im Glas. In der Nase, ein Fruchtdessert mit frisch aufgeschnittenen Vanilleschoten garniert und mit Karamell verfeinert. Zarte Holz Töne erklingen im Hintergrund. Im Gaumen wird dieses Fruchtdessert richtig lecker erweitert. Die dunkle Schokolade übernimmt eine Hauptrolle wie schon beim 15 yo, dazu gesellen sich frisch geröstetes Karamell und Vanillegebäck. Im Abgang, eine blumige Süsse und das Zart-Bittere von Schokolade klingt lange nach. Ein sehr leckerer Ron für alle Tage der Einsteiger und Geniesser gerne verführt. Mir ein wenig langweilig. Beautiful dark amber in the glass. In the nose, a fruit dessert garnished with freshly cut vanilla pods and refined with caramel. Delicate wood tones resound in the background. On the palate, this fruit dessert is really delicious expanded. The dark chocolate takes over a major role as at 15 yo, to join freshly roasted caramel and vanilla pastry. In the finish, a flowery sweetness and the delicate bitterness of chocolate sounds long after. C'est pas forcement ce que j'ai bu de meilleur mais c'est pas mal. Sladší rum, ned, ovoce, třtina. Není moc komplexní, ale za tu cenu dobrý. Ideální ke kávě. Foarte bun! O aromă deosebita, ușor dulce dar nu deranjant. Aftertaste-ul scurt și plăcut. Always on the rocks! This is a wonderfull rum, with true amber like colour, an unreal sweetness envelopes the palate and leaves you lingering for more of it, woodden notes accompanies the moutfull of natural aromas. straight aftertaste not to long but defenetly not a short one. 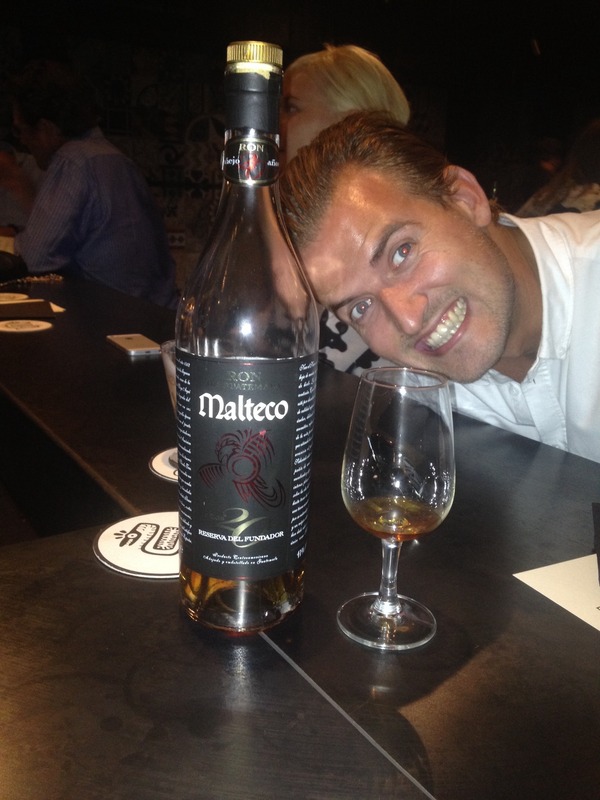 all in all a true Malteco premium drink. Un rhum vraiment très bon, bien abouti! Encore plus que le 15 ans! Il a en plus une bonne longueur en bouche. It's a very harmonic rum - you can smell and taste a lot of vanilla and wood. It's not very sweet, but very good. It's not so different than younger versions. But of course it's more expensive. Fine colour.Vanilla and wood aroma. Not one of the best rum.but not so bad too.